Can you overdose on Hydrocodone? This potent opiate medication is prescribed for severe, unmanageable pain, and helps where all weaker pain medications have failed to provide relief. Hydrocodone uses are the same as those of morphine and Oxycodone and Morphine, and like them, is easy to develop tolerance toward. The proverbial Hydrocodone OD can be very likely, especially among school-aged children. According to the Monitoring the Future Report of 2013, 1.4%, 4.6% and 5.3% of 8th, 10th, and 12th graders, respectively, used it recreationally in the form of Vicodin in the past year. How Much Hydrocodone to Overdose? What are the Overdose Aggravating Factors? What are the Peculiarities of Hydrocodone-Acetaminophen Overdose? What Are the Hydrocodone Overdose Symptoms? What are the Dangers of Taking Too Much Hydrocodone? Can One Die From Hydrocodone OD? What to Do if Someone Overdoses on Hydrocodone? How Many Hydrocodones Does it Take to Overdose? Generally, adults are prescribed from 5 mg to 10 mg per day. The Hydrocodone overdose corresponds to approximately 90 mg. However, not everyone who takes 90 mg will necessarily be at risk, especially if they have developed tolerance from abusing it for a long time. What is more, the amount needed to overdose depends on how the drug is taken. Combining this painkiller with other substances can increase the risk of overdose. Although some people believe hydrocodone and weed to be a safe combination, it may still have severe side effects, including overdose. Drinking alcohol while taking Hydrocodone can also cause the overdose on the smaller amount of substances taken. The type of intake or potentiation can contribute to negative ramifications, such as an overdose. There’s no denying the positive side effects of the drug – euphoria, stress relief, etc. – and many people attempt to potentiate them by snorting the drug. This will produce a stronger high, but the effects of snorting Hydrocodone are not limited to that. They also include nasal congestion, damages to the sinus, and respiratory problems during sleep. Injecting or smoking Hydrocodone can cause one to OD even with a lower dose because the drug is metabolized faster this way. The risk increases if taking expired Hydrocodone, whether knowingly or by mistake. As noted, the Hydrocodone overdose amount can vary as well – those addicted to the drug will take greater amounts and need comparatively more of it to OD. The quicker one receives medical help, the higher their chances of recovery. A hospital stay may be required for more doses of the medication that reverses the effects of the drug. Long-term effects are rare if there are no complications, but if there are, these may cause permanent disability. Among them are pneumonia, brain damage from lack of oxygen, muscle damage from lying down for an extended period of time, liver failure, bradycardia (heart slowness), cardiac arrest, coma, respiratory depression, seizures, and even death. There is a high price to pay for abusing this drug, going way above and beyond the monetary Hydrocodone cost. To prevent misdosing, it is recommended to check a Hydrocodone dosage chart. Can a Person Die if They Overdose on Hydrocodone? The Hydrocodone overdose can range from an hour to a few hours depending on the amount taken and other individual factors. Death is extremely rare, but it is possible due to extremely slowed breathing. A very large dose is needed to produce toxic effects if taken orally. 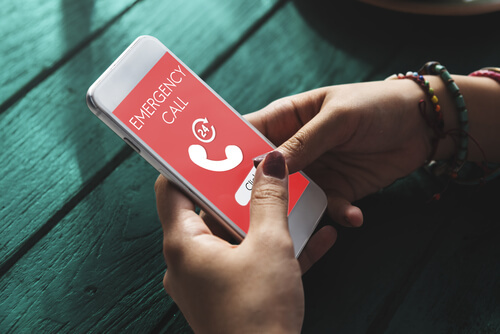 You can reach a local poison control center directly by calling 1-800-222-1222, the national toll-free Poison Help hotline, from anywhere in the country. This hotline number will connect you with poisoning experts, who will provide further instructions. Don’t try to get the person to throw up unless the experts or a health care provider instructs you to. Follow the poisoning expert instructions thoroughly and stay with an overdosed person until the emergency care service arrives. Hydrocodone uses treatment can be very beneficial to manage pain, but less so when one makes a habit of seeking solace in it. There is a fine line between using an opioid prescribed by a doctor to manage physical pain and live a normal life and using it to manage your emotional response to pain. The latter creates a risk of abuse and addiction, and if this is the case, treatment for substance abuse apart from pain treatment will be necessary. Are you or your loved one addicted to this painkiller? Call (888)-459-5511 now for a free and confidential consultation – we can help you.